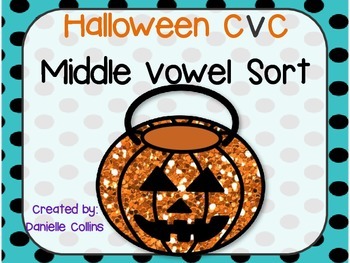 This a great activity for kiddos working on their CVC words, especially the middle vowel sounds. 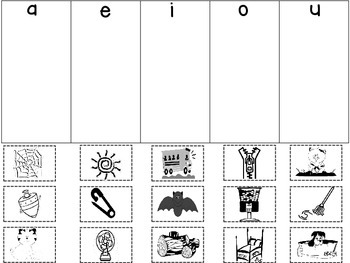 There are 2 activity sheets; one where students write the words they found and sorted and another cut and paste sheet. 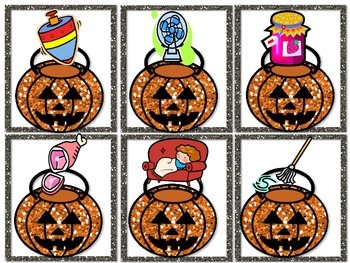 Separate the large pumpkin and small pumpkin cards. 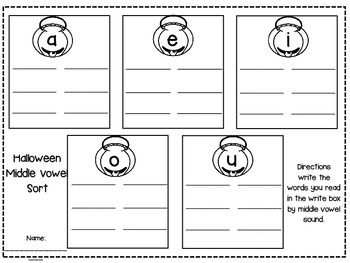 Copy enough recording sheets for your students, back to back.